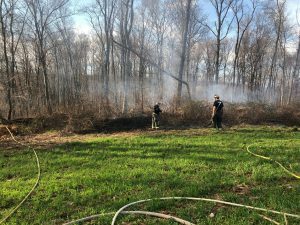 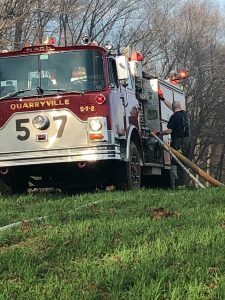 At 5:55 pm Wednesday evening, QFD was alerted to 326 Bartville Road in Colerain Township for a woods fire. Units arrived to find approximately 1 acre of woods on fire. 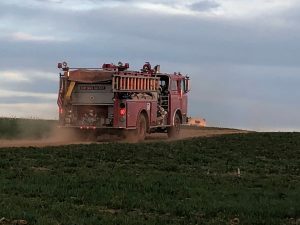 The area involved was about 1/2 mile off of the main roadway back a long farm lane. 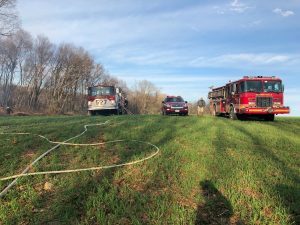 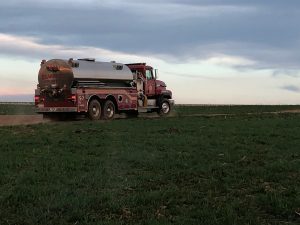 Crews stretched 3 lines from Engine 575 and 572, while Engine 574 laid 400′ of 4″ from Tanker 57 to supply the scene. 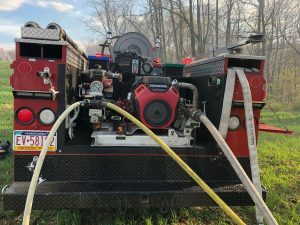 Crews worked about 1 hour, and then another hour at the station to clean hose and the rigs.